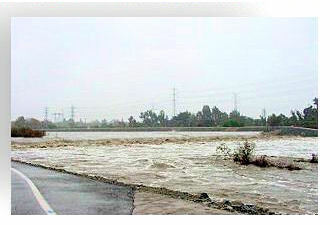 To provide our stakeholders with important information about earth-bottom channel maintenance and other Los Angeles County Flood Control District (District) activities, we have launched a user-friendly website dedicated to the maintenance of our comprehensive flood protection and water conservation system. Through this website, users will have access to available reports, studies, maintenance schedules, and watershed maps showing earth-bottom channel reaches throughout the District. Included among the more than 500 miles of open channel maintained by the District are more than 45 miles of earth-bottom channel. In order to avoid loss of life or property due to storm events, adequate channel capacity within these earth-bottom sections needs to be maintained. Maintenance of the engineered earth-bottom channels is a significant effort and requires the removal of sediment, vegetation, debris, and any other obstructions that would reduce the hydraulic capacity and ensure unrestricted flow in the channel. The District performs these maintenance activities in a timely manner to ensure public safety. 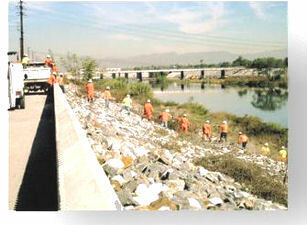 The District’s earth-bottom maintenance activities come under the jurisdiction of many agencies, including; the US Army Corps of Engineers, the California Department of Fish and Wildlife (formerly California Department of Fish and Game), and the Regional Water Quality Control Board (Regional Board). On February 4, 2010, the Regional Board issued Order No. R4-2010-0021 Waste Discharge Requirements (WDR) for: Los Angeles County Flood Control District (Discharger), Proposed Maintenance Clearing of Engineered Earth-Bottom Flood Control Channels, Los Angeles County (File No. 99-011, CI 9580), which requires a Feasibility Study (FS) to be conducted for each of the earth-bottom reaches included in the WDR. The goal of this FS is to determine whether or not the channel has adequate flood control capacity and to determine the extent to which vegetation can be allowed within the earth-bottom reach. The watersheds included in this WDR are the Los Angeles River, San Gabriel River, Santa Clara River, Malibu Creek, and Dominguez Channel Watersheds. 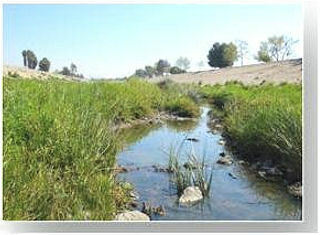 The first year Feasibility Study was conducted for the earth-bottom channel reaches within the Los Angeles River (LAR) watershed. The Study Workplan (SW) for the LAR watershed, which incorporated stakeholders’ comments, was approved by the Regional Board in 2011. The Regional Board assigned the San Gabriel River (SGR) watershed for FS analysis for the second year. Both the Technical Studies and Recommendations for the LAR watershed FS and the draft SW for the SGR watershed FS are scheduled for interested stakeholders’ review and comments by end of February 2013.